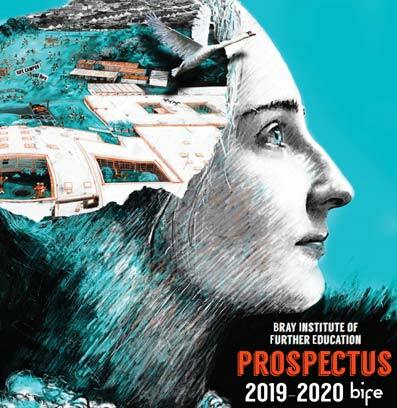 Download our 2019-2020 prospectus as a PDF document or view our full time course list online. Principal of BIFE Ray Tedders receiving a copy of a Memorandum of Agreement from the President of Carlow IT Patricia Mulcahy. BIFE Students gain direct access to many IT Carlow courses through this agreement. Accounting Technican visit to Tallght I.T. A group of BIFE students enjoyed a very informative morning in Tallaght IT with personalised talks with staff and students from the Business and Tourism, Accounting and Finance and the Computing departments. Progression routes and student support services were discussed andstudents spoke very positively about their insightful and motivating trip. Students and staff will dress to scare this Friday, 27th October, at our annual Halloween Fundraiser in aid of the Irish Cancer Society. All donations welcome. Our Fashion Theatre Media Make-up students will be creating some terrifying looks on the day and there will be plenty of surprises throughout the college.